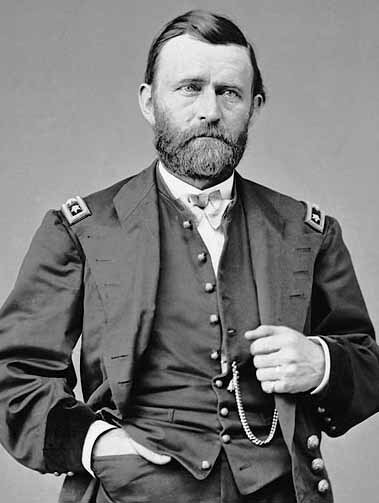 Starting in December of 1862, Major General Ulysses S. Grant engaged in a series of unsuccessful military operations which attempted to capture the heavily fortified city, famously known as “The Gibraltar of the Confederacy.” After isolating the Confederate Army inside Vicksburg with a force in excess of 75,000 Union soldiers, and with Maj. Gen. William T. Sherman and his troops guaranteeing a safe supply line and sufficient reinforcements from the north, he began the final push in May of 1863. The first assault began on May 19th, and was repulsed with heavy Union casualties. The second assault on May 22nd fared no better. Grant became convinced that Vicksburg could only be taken after an all-out siege. And so it began in bloody earnest and lasted until victory was achieved almost six weeks later on Saturday, July 4th, 1863. 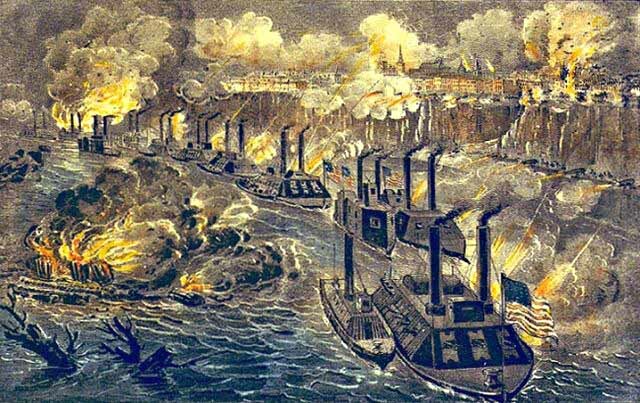 Total casualties for both sides during Grant’s various operations at Vicksburg were estimated to be more then 19,000, and the city on the hill would not celebrate Independence Day for close to eight decades after that defeat. More then 150 years later, Grant’s strategy is still being studied by military scholars as a master class on the art of conducting siege warfare. 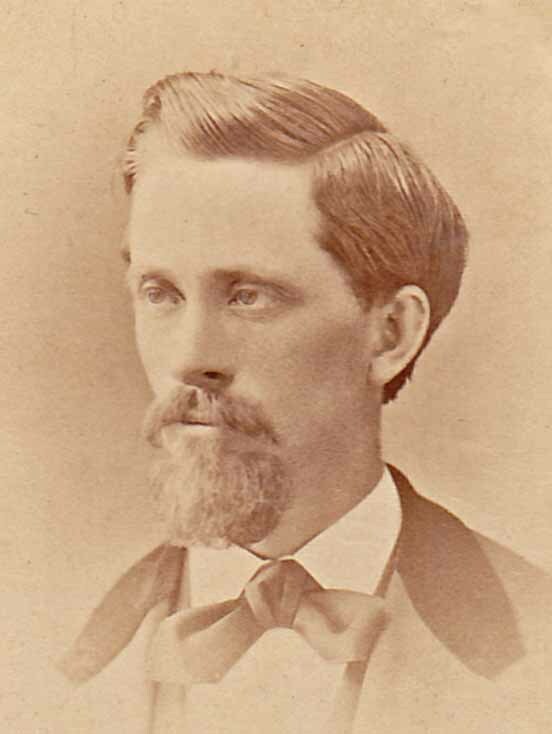 John H. Mathews, a soldier in the 77th Illinois Volunteer Regiment attached to Grant’s Army of the Tennessee, was badly wounded during the second assault on May 22, 1863. He survived, and was taken to Jackson Hospital in Memphis, TN, for his initial recovery and rehabilitation. When his father Robert found out his son had been injured, he quickly departed the family farm in Illinois and headed straight to the hospital in Memphis to ensure that his son received the best medical care possible. The five letters presented here chronicle John’s first year as a volunteer in the 77th Illinois. He discusses events including the joint U.S. Army/Naval operations on the Mississippi River in December 1862, his grievous injury during the Siege of Vicksburg, and then his arduous ten month recovery at the hospital in Memphis, TN. The last letter posted here is from the Asst. Quartermaster in Memphis to his father, complementing him on his son’s bravery during the battle. I am this Monday morning set to write you a few lines. On Saturday we marched down to the city and were presented with a flag from the ladies of Peoria. A regimental flag, it is the most costly thing of this kind I ever saw–I would suppose it cost $100. The staff has a very nice spear on it, and the flag is trimmed with the costliest fringe with the inscription 77th Illinois Volunteers. Clark Ingersoll made a good speech, but I expect you have heard all this before. They are five regiments here, and five companies of the Knoxville Regiment have come since I commenced this letter. Thom and I went over to the Fulton Regiment and we saw Scott Brown. He was washing dishes and looked as well as I ever saw him. They are 10 or twelve of the regiments deserted. They have some big men, but I tell you they are as hard as they are big. Some of them were grabbing stumps for some of their tricks, all right. Elsworth Biggs and Finch turned to and had a good jaw. They soon got over it and are better friends to each other then ever. They are alright but big headed, as you know. We were out on drill the other day. One spoke of how the Lewiston Company drilled, and Benton spoke up and said they were nothing but groundhogs that lived on polecats and bullfrogs. Some of the boys are sick and some complaining but it is their own fault. They abuse themselves like animals. I went downtown and got a pair of suspenders and left my measure for a pair of boots. I have got the letters for my cap. I got a 77th Ills. and all for $.25. 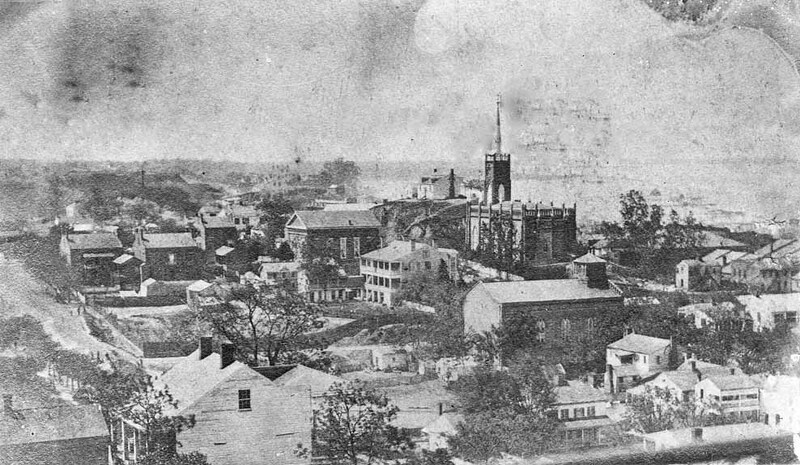 Colonel Grier went to Springfield on Sunday evening to make arrangements for our regiment. Last week we had quite a green guard on duty. A man come up to him, and the guard said to the man “Advance and say St. Louis or I will stick the bayonet through you,” with a big oath at the end of it (St. Louis was the password). I guess the man had no trouble getting in. It takes all sorts of men to make up the world. Brother I have been very busy since I commenced to write and have good news. We got $25 from the government and $2 premium, $27 in all. You saw the amount paid to the regiment, it was nearly $29,000 in greenbacks. The regiment has been in good spirits since, you had better think. We had a big rain and the river has raised 10 feet and is still raising yet. As for that bounty, I am at ease old Knox is good for it. I have got more of the things I want and still have $25 in bills. I am not able to write all that I would like to. We expect to get our rifles tomorrow–I hope we will. I must quit off short for it is drill time. If you come down, come pretty soon as we may leave soon. You will know before we do. I am on board of a boat again going down the Mississippi with the fleet that is marching to take Vicksburgh. I received your letter about two or three hours before I left Memphis. The way we do is to write when we are on the boat and mail them when we come to a landing or when we get to our journeys end. I enjoy good health and so does Thom. Plowman and Biggs are left behind with the measles and some others. Fergusson is one that is left at the hospital and has a bad cough with his old disease (ruptured). He never can carry a musket and knapsack in the army. We left our camp Saturday 20th at 9 P.M. and marched through the Fort. I got on the steamer Duke of Argyle and lay at anchor till Sunday 21st at 2 P.M. then we began to move slowly. They were 16 transports and two gunboats, cavalry and artillery–all sailed swiftly down the river. The boats do not all leave the same day. How it did make me get to think we would have to start on Sunday, but we could not help it. The Officers will have to answer for such things. 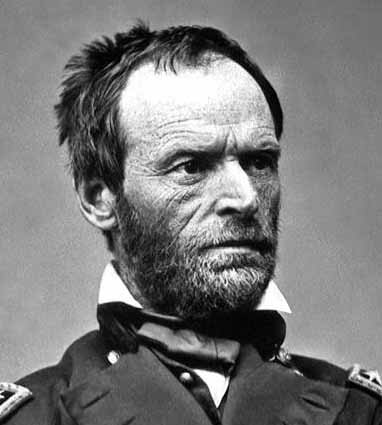 The plan to take Vicksburgh is something like this: Farragut is to come in from below with his fleet, and General Sherman takes all the troops down and is to land them to keep the rebels from retreating to Jackson, Mississippi. Then Grant is to take Jackson and come up on the other side to help take Vicksburgh–this will be taking them by storm on three sides. I think if they work it right it will be a small job. I suppose you have heard all of this and a great deal more, so enough of that. Our boats hauled up at Priors Point at 2 A.M. Monday morning, a small town in Mississippi where the boys found some newspapers rejoicing over some rebel victories. This did not suit them of course. They took all they could carry out of a dry-goods and grocery store and burnt it down with 2 or 3 others. This done the boys good. They would have burnt the whole town if they had the chance. It was the grandest sight I ever saw, to see so many boats all sail off down the river. I think they are 120 gunboats and transports together. We heard that they have been a fight at Fredricksburgh, but did not hear how it went. I hope it is all right. It will not be long till the time of the new war policy–I hope it will make a change. If the Officers will keep moving I don’t think it will last long. I was much surprised to hear you were so near done gathering the corn. I did not think you would get done much before spring. I expect you will gather for the neighbors and make money. You asked me to let you know what you should do with the money that my part of the corn brings–well I don’t know what. If you want any money to use, use it and if not give it to Mother. I hear that the men’s wives are getting paid the board bill that was due them for board while drilling in Elmwood. The first time you are in Elmwood, try and get mine as it is $6.40. I got three dinners at Mr. Simpsons–pay him out of it and keep the rest of it or use it. I don’t know what would be good to speculate on in Illinois. Let me know if you have or are going to do anything with your plow. I take my pen in hand this morning not to answer any letter, but as you wanted to know whether I wanted anything sent from home or not–so I thought I would let you know right at once. I received yours of January 31st and February 13th. Your last letter had more information and news in it that I wanted to know then any other I have got while I have been in the service. Well I have $3.00 yet, some of it is in postage currency and it is real plenty here. You need not send any more of it to me. When we can’t change a U. S. bill we take and cut it in two, then it is worth one half of the face. The first of March is muster day and they are five months pay due us. O’Donald saw two boxes full of money that come down here on the 24th of February, so I think we will get some before long. I have paper aplenty and a dozen envelopes that I got in Peoria yet and 18 stamps. Paper and envelopes are plenty here but of a very poor quality, and at these prices we can use a stamp sometimes for change but not very often. If you can send things with Mr. Pierce, you may send me if you please two packages of envelopes and a good lot of paper. I want just such paper and envelopes as I use in this letter. With the place we have to write, we need the best paper we can get. One thing more I need is a pocket map of the southern United States. Get the very latest copy you can. I did not get one–now it would come in useful to me to see the different points but I can’t get them here. Tell Mother if she wants to send two pair of socks I will be very thankful. The socks are not worn out yet. Tell her that fitted socks are as good for me as new, for when the feet are worn out we have to throw the legs away. Now you need not put yourselves to trouble to send these things. I only mention them as you say it will be a pleasure for you to send them to me (and I believe you). Stamps you can send anytime in a letter. The butter Mother sent me was just as she put it up and is the best butter I have tasted down here. I have received all these letters you mentioned, but Fathers of December 16th I don’t think I got as I can’t keep all my letters–I forget the dates but I answer all that I get. Thomas and myself are blessed with good health. I think they will be something done here before long. View of Vicksburg, MS taken from the top of the courthouse looking southwest. In the distance is the spire of St. Paul’s Catholic Church. During the siege, the citizens gathered there to watch the shelling of the city. Father received two letters from you yesterday dated June 19 & 20. You must excuse me for not writing to you and the folks for my hand has been so nerveless that I can scarcely write at all. I am doing my very best on this letter. They are no pain in my arm but it is so nerveless. I am getting along as well as I can. My wound don’t pain me much and is healing up nicely. Father dresses it twice each day, but my back is as a wooden back for I can’t bend it. I still live in hope that it will come all right some of these times. I have got so that I can get up on the side of my bed. I don’t pretend to walk anymore, my back has got so very stiff. I never knew before the 22nd of May that they were any danger in getting shot in the back when we were running towards the rebs, but some villain tried to break my back but was not quite good enough shot. I think our boys made them suffer for it for they were many of them that fired 280 rounds of cartridges to the man. It was my lot not to fire one shot. If I had got to shoot the 90 rounds I had with me at the rebs I’d of been better satisfied. And sorry to say we lost the beautiful stars and stripes that was presented to us in Peoria and our blue banner. The rebs got one of our boys and buried the other to keep them from getting it. I never felt as well, or felt half such a man in my life as I did when I was wounded, for I had been drinking sassafras tea for some time before and had bathed about every other day. My blood was pure and my skin white and as thick as that of a cow. It appeared as if nothing could faze me nor did they till that ball struck me. My being in such good health and my blood being so well purified that it has had a splendid affect to help my wound to heal up. Father thinks that Memphis is a hard place. Whenever he goes out in town and comes in I ask him how he made out. In the hospital they are no man like Father because he would get them whatever they wanted if he could. They are a German in the same room with me from Ohio that beats the curly headed Jews if ever one did, he talks most of the time and a person can’t help laughing at his talk. He is a real good fellow. Furloughs and Discharges are two things that the offices don’t hurry through but they can’t play the gouge game with me all the time. They have to pay us 4 months pay the 30th day of June. I don’t care a snap for the pay if I could only get home when it would have done me some good. It will do me good to get home any time but not the good it would have done me the first two or three weeks. Father stays in the hospital and boards here and is always ready at my call. Every place I go they are a man with a gun and bayonet asking what I want. These soldiers with guns and bayonets is what takes him. These guards are only stationed at Officers quarters–the gun and bayonet is the only thing that keeps Memphis down. Your birthday. I should have been glad to have been at home with you today, but the day has not come yet but I don’t get discouraged. I hope on in good faith–if they don’t give me a furlough before long I will pitch in for a discharge. So you and the folks need not trouble about me for the present. I expect you are making things work with your new plow. I hope it will do all that it is required to do and is not like Thom’s old one. Assistant Quartermaster’s Office, G. L. Fort, A.Q.M. I received your very nice and valuable of a gold pen. For your good feelings I return you my thanks. If you sent it to me as a matter of pay or remuneration for the little trouble I took for your brave and wounded son I cannot accept it. But if you only gave it to me as an evidence of regard or esteem for me I thank you kindly. I could not take any pay directly or indirectly or anything that looked like pay for doing my simple duty to a fellow soldier. Any human man who had a heart would have done all and more then I did. Enclosed I forward his furlough. I would have sent it to St. Louis had I known what hospital he would be in. Please write me when you receive this to let me know that you have received the furlough and how your son is. I hope he may soon get well. He is a brave man. He has done great work in reducing Vicksburg. This entry was posted in A Civil War Journey and tagged Abraham lincoln, Jackson Hospital Memphis TN, John W. Mathews, Lt. General John C. Pemberton, Maj. Gen. William T. Sherman, Major General Ulysses S. Grant, Mississippi River Squadron, The Siege of Vicksburg. Bookmark the permalink. Great presentation of fascinating information/stories. Thanks! Great job here, Cliff! It is interesting to read how these brave men endured the hardships of war with a sense of honor and dignity and tried to make the best of the downtime in between. Being a veteran myself, I especially appreciate the letters. Thanks for sharing these with us! Great job Cliff. As usual you have done it again. I wish you could find some letters from the South as well as the North. It had to be really bad on both sides, but the North did have it a little better than the South. I’m sure it was hell for both sides. Again, a job well done. I found it interesting that in his December 1862 letter to brother, John Mathews spells out the strategic plan for the Vicksburg battle (Would a letter like that ever make it into the post today?). Some of the details in his letters paint a great portrait of the times. Interesting that they were allowed to use a postage stamp or cut a dollar bill in half to make change. Or, as proof of his good health before his injury, describing how he’d been “drinking sassafras tea for some time before” and that his “blood was pure and [his] skin white and as thick as that of a cow”. I somehow doubt that I’ll ever be writing these words! Thanks, Cliff, for bringing to life such a personal slice of the Civil War by sharing these letters and writing about it so eloquently.